The study conducted was on the proposed “Hotel Reservation System”. The main purpose of this study was to create a program that will automate the current system used by the hotel. The researchers used the descriptive type of survey methods where they distributed questionnaires to the respondent of the study as a research instrument for data gathering. The result of the study were the basis in coming up with program that is more convenient compared to the old system of the hotel. The reliability and assurance of the functionality of the proposed program, it was already tested and checked by the adviser and carefully judged by the panel of judges. The researchers have done their best to make the program better. This will contribute for the betterment of hotel transactions. 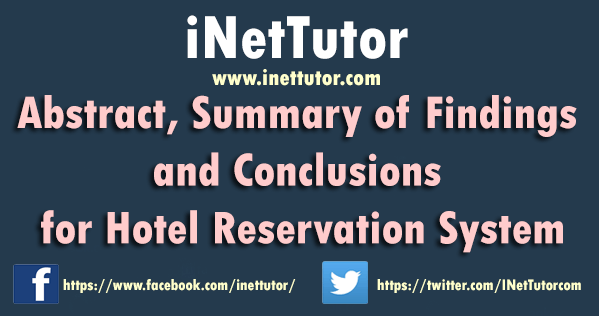 Hotels encountered difficulties in their manual reservation system. The extent of difficulties in retrieving data was moderate. In addition, the extent of difficulties in keeping the different transaction records, data and reports of their booking system was moderate. Moreover, the extent of difficulties in inputting of data, records, reports and transaction was moderate. And the extent of difficulties in the security of files and other records was moderate. Furthermore, the extent of difficulties in checking-in of costumers was moderate. Also the extent difficulty in check-out system of the costumers in their booking system was moderate. Additionally, the extent difficulty in issuance of customer’s bill in their booking system was moderate. Hotels encountered the performances in their manual reservation system. In security, the performance in retrieving of records and other transactions of their present booking system was fair. In addition, the performance in keeping all the record lists of their booking system was fair. Furthermore, the performance in services of their booking system was fair. Moreover, the performance in inputting of data, records, reports and transactions of their booking system was fair. In accuracy, the performances in terms of retrieving of records and other transactions, keeping all the record lists, services, inputting of data, records, reports and transactions were all fair. In speed, the performances in terms of retrieving of records and other transactions, services, inputting of data, records, reports and transactions were fair and the performance of keeping all the record lists was good. Hotels had the urgency to propose an automated reservation system. The majority of the respondents wanted the urgency of an automated booking system. All the difficulties encountered by the employees in the hotel were rated as moderately extent which means that they don’t usually encountered such problems. In the security, accuracy, and speed they rated it fair, which means, that they have to improve their manual performances into faster and effective way. In terms of urgency of an automated booking system, majority of the respondents answered it yes, because they observed and realized that they need more reliable, efficient, and helpful system. This system can help to provide convenient way of entering customer’s data without any delay. It can have a more secure and private records or files from customers. Encoding of User and their Privileges. 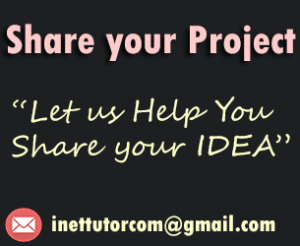 Allows creation of user and administrative account to ensure the security of the system. Encoding of Customer’s Information. The system accepts the customers’ information that is encoded. Generate Billing. The system automatically generates customer’s bill from previous transactions. Income statement. The system updates the income of the hotel and records automatically the result of the transactions made. Confirms and cancel reservation. The system will accept incoming reservation requests personally or through telephone and will cancel requests if the customer tells to do so. Settings for the price of exceed persons. The system provides settings for inputting price for exceeds person and will automatically update the changes made.